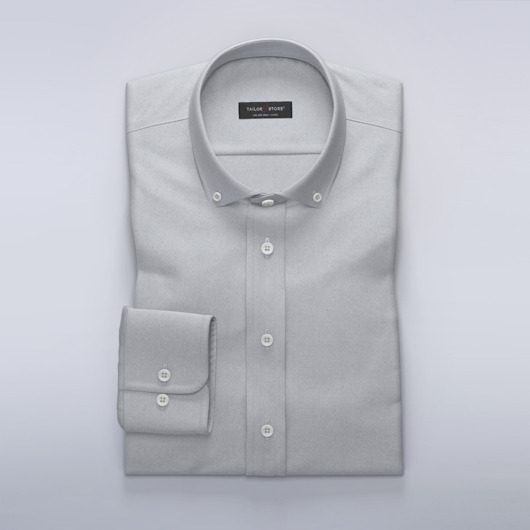 A modern gray dress shirt in comfortable satin fabric. Perfect for a relaxed yet styled look at the office. Order our suggested design or customize it to your preference. Made to your measurements.